You have TWO WEEKS to play along - Deadline to enter is Friday, July 14, 2017 at Midnight CST. The winner and DT favorites will be announced on the NND blog the following Monday. Emily elegantly combines two sets- Falling into Autumn & Beautiful Wings--to create this gorgeous card. 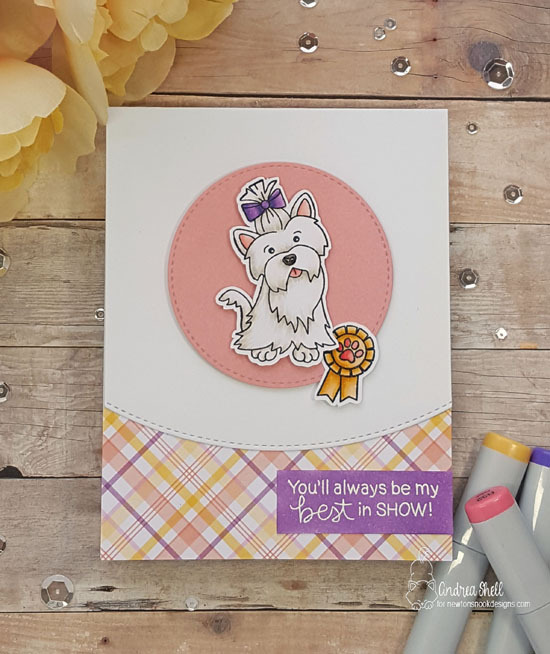 Andrea's sweet card would surely win best in show with the fun plaid and sweet puppy from Terrific Terriers. 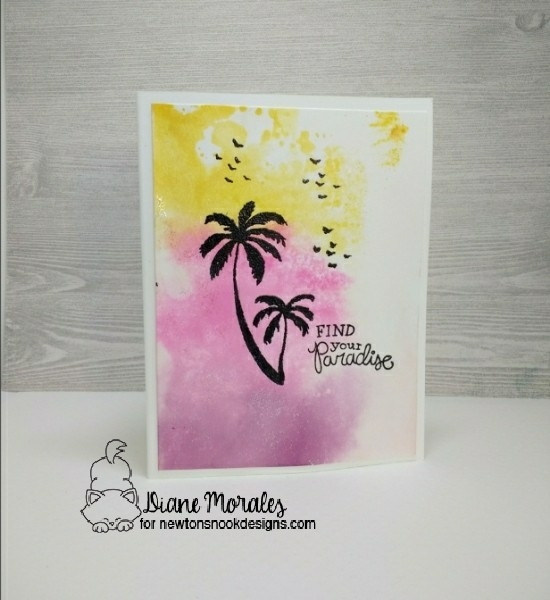 Diane has created a slice of paradise using this week's colors and Paradise Palms. 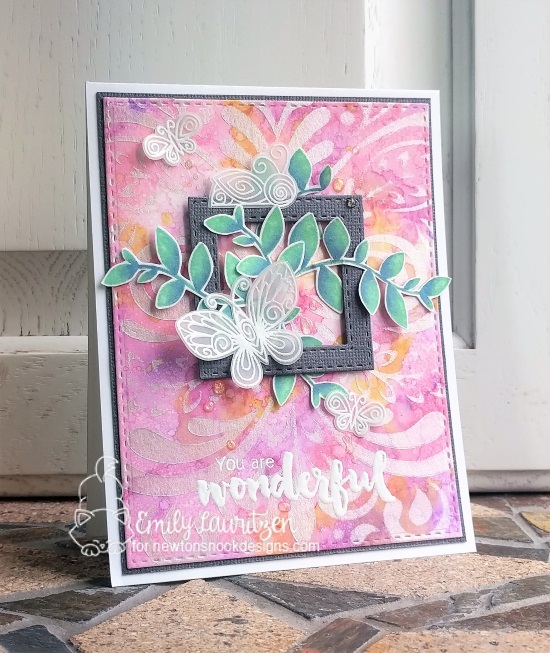 Zsofia's white flowers against the vibrant background adds up to a gorgeous card featuring Fanciful Florals. 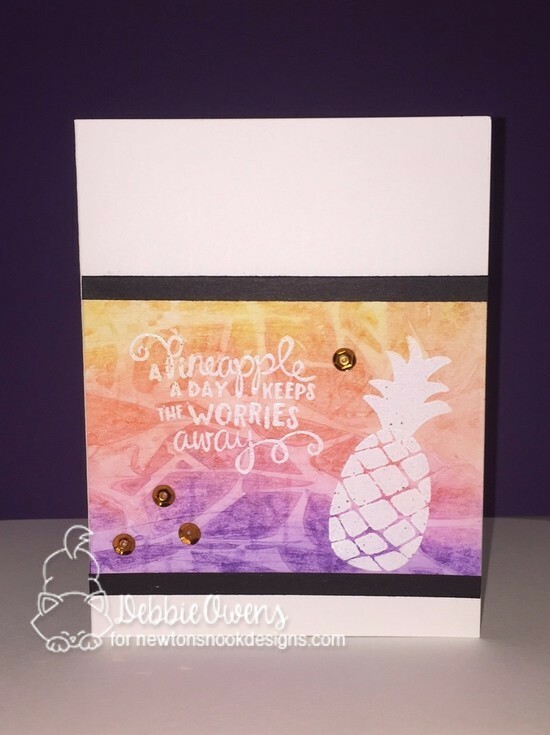 Debbie creates a festive background using the challenge colors with Pineapple Delight. Fabulous DT creations - I will create and enter - now to find those colors in my stash - what a nice array of colors! 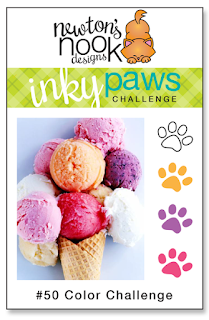 Thanks for the cheerful challenge colors and inspiration!